It's hard to believe another year has passed. Today marks my blog's 2nd birthday! And what a year this has been! On the personal front, I got married, honeymooned in Paris and Amsterdam, and sampled some amazing European cuisine while I was at it. 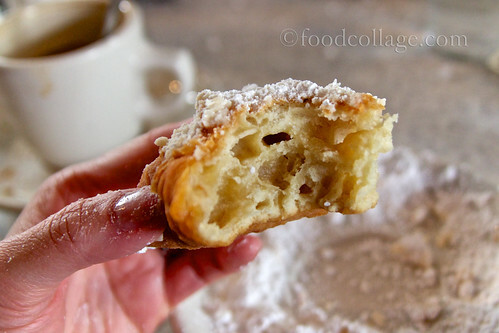 I had the opportunity to visit and eat my way through New Orleans, one of my favorite cities in the U.S. I saw my friend realize his food truck dream. 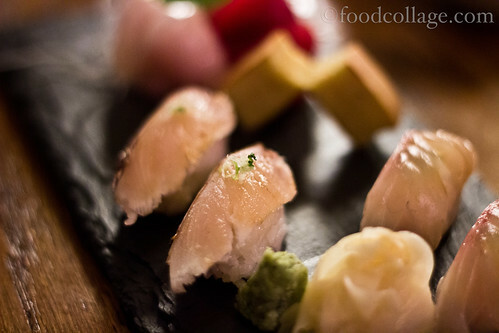 I got crazy busy at work, but continued to enjoy learning what the Pittsburgh dining scene has to offer as much as I can, while trying new ingredients in my own kitchen. I even created some pretty decent recipes, if I may say so myself! Photography-wise, I very recently acquired my first mac, and am now learning to use Apple's Aperture for photo editing. 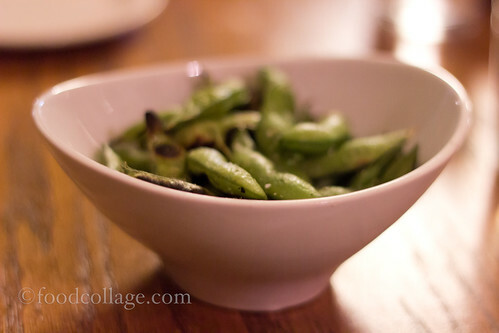 I continue to learn and draw inspiration from others whose work I admire - like trying to embrace dim restaurant lighting more than I am averse to it (thanks to some excellent low light photography I've seen over at With the Grains). Looking back on my very first post on this blog, I can definitely say that one of the original goals for this blog - to improve my photography skills - is being realized. 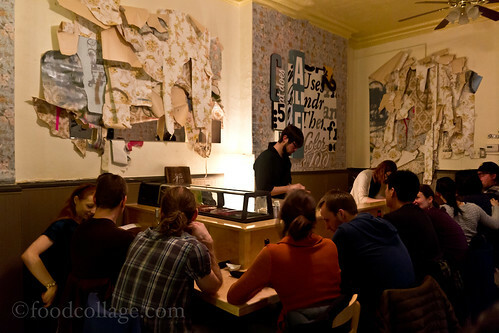 This blog has also begun to get noticed around town, having been mentioned by Edible Allegheny magazine, CBS Pittsburgh, and About.com, and a photo of mine was featured in Serious Eats as well. It's all been so validating, yet humbling at the same time! While the craziness of the past year has meant being not quite as up-to-date on my blog and my Twitter feed as I would have liked, I continue to be grateful to have started this little project two years ago. As I said on this day last year, this blog has helped me become more connected with my adopted hometown, and some amazing friendships were born as a result. And without you - the readers! - this blog really wouldn't have done quite so much for me as it has. Bourbon Street in New Orleans' French Quarter is...interesting, to say the least. 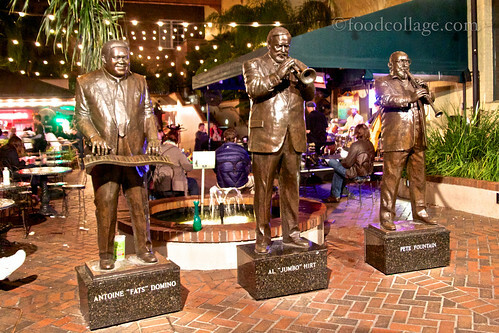 But the coolest spot on Bourbon Street, in my humble opinion, is the Musical Legends Park, where live jazz fills the air all day long starting at 10:00 a.m. The live jazz is cool. 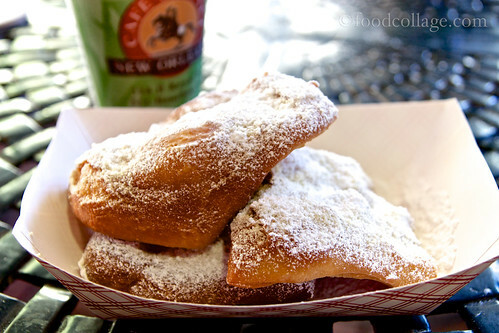 But what makes the Musical Legends Park even cooler is the fact that it also houses Cafe Beignet. 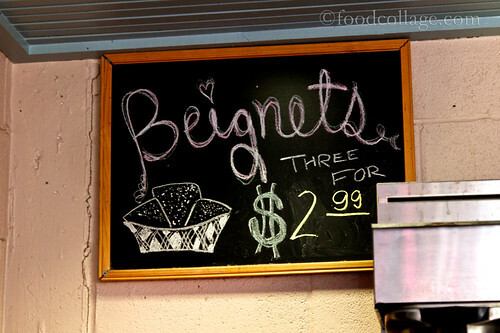 Cafe Beignet actually has two different locations in the French Quarter; the other one is an indoor cafe on Royal Street. R. and I visited the location at Musical Legends Park to enjoy some Sunday morning jazz along with our breakfast. The line to order was quite a bit longer than I had expected as there was only one cashier on this busy day. 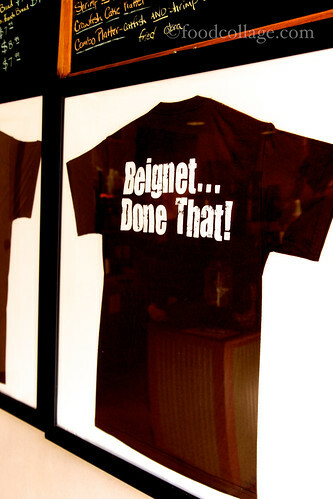 Although Cafe Beignet serves more than beignets, I felt obligated to try their beignets anyway, since it seems that would be their signature item. We sat at one of the covered tables outside and took in the atmosphere. 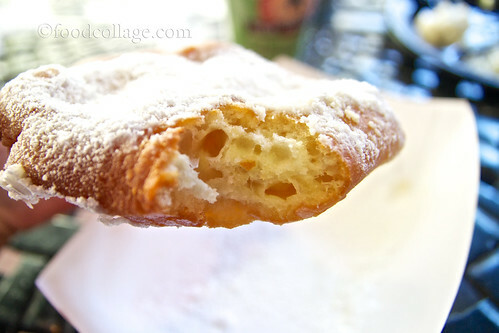 The fresh beignets were satisfying. Not quite Cafe du Monde good, in my opinion (I found the ones at Cafe Beignet to be denser), but I think it is highly a matter of personal preference as you'll find many who like Cafe Beignet better. 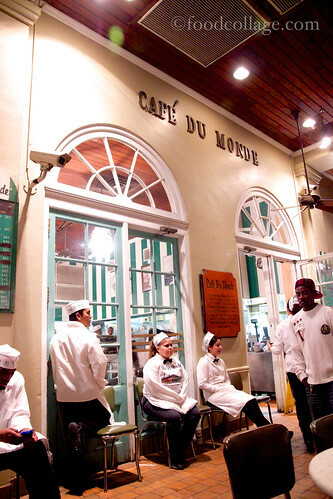 I do think Cafe du Monde's cafe au lait wins, however. 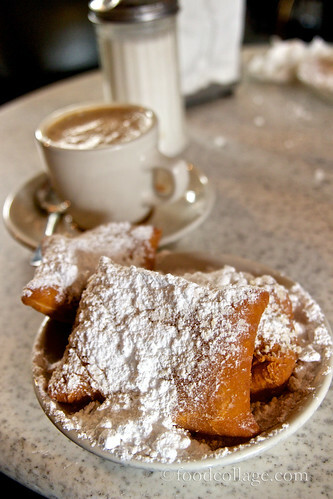 On the other hand, for a relaxing atmosphere and jazz entertainment, it is hard to beat Cafe Beignet. 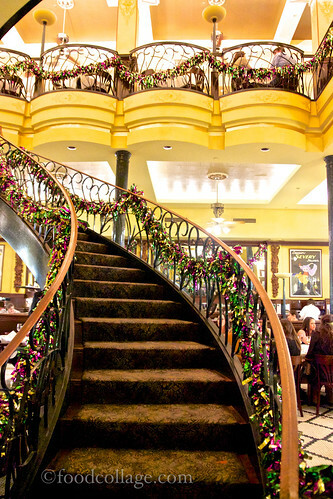 I honestly don't think there is any other restaurant in this world that I love more than Palace Cafe in New Orleans. Palace Cafe captured my attention in 2002 when I had their amazing Shrimp Tchefuncte, but it stole my heart on my return trip in 2005 when they so graciously offered me the recipe. I have since made the Shrimp Tchefuncte at home a number of times (which prompted Palace Cafe to write their own blog post in my honor! ), but that doesn't mean I didn't look forward to having the real thing again on this trip to New Orleans. Eight years has been far too long, but everything about Palace Cafe remains comfortably familiar. 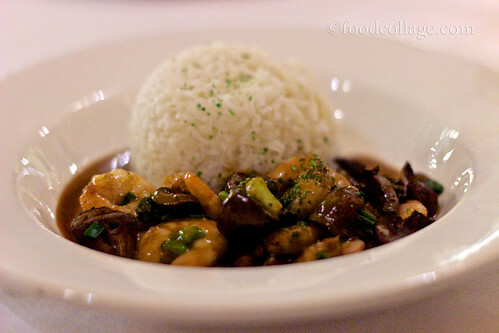 The Shrimp Tchefuncte comes in a Creole meuniére sauce with green onions and roasted mushrooms, and served with popcorn rice. I took one bite - and no exaggeration here - I was nearly in tears. Because...wow. I had spent the last eight years hyping up this dish in my head, and the perfectly cooked shrimp and exquisite sauce still exceeded expectations. If I ever get to request a last meal, this would be it, hands down. I was very curious as to what R. thought of his meal. 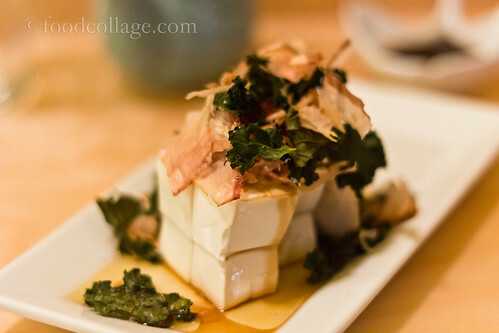 Sometimes, when I make a strong recommendation about a restaurant, I do worry that others won't find it as amazing as I do. 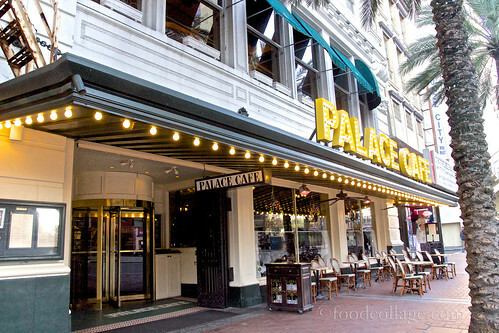 I had been talking up Palace Cafe for so many years that it would have been embarrassing if R. thought it was a dud. 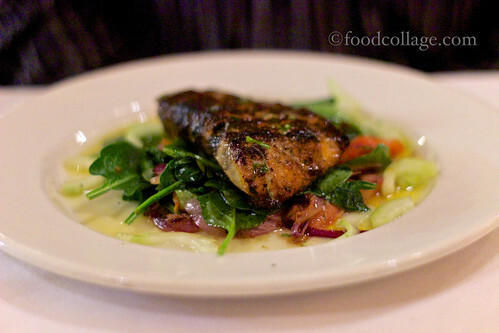 But au contraire, R. loved, loved, loved his Grilled Gulf Fish Panzanella, with housemade olive bread croutons, cucumbers, tomatoes, capers, and spinach tossed in an Italian parsley pistou. 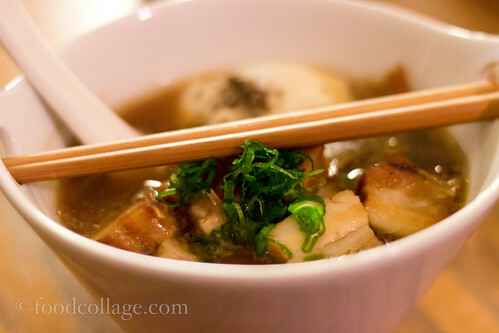 (It normally comes with grilled eggplant as well, but R. had asked to leave it out.) While several other meals we shared were rather excellent, he wholeheartedly agreed with me that Palace Cafe was the best meal we'd had in New Orleans! (And no, he certainly doesn't agree with me all the time!) It makes me so happy that he enjoyed my favorite restaurant! This third visit to Palace Cafe for me truly solidified its place in my heart. My only regret is that we had had such a substantial and very late "brunch" earlier in the day that we didn't have the room to try more courses. We were specifically eyeing the bananas foster, made fresh tableside, which had been served at a neighboring table while we dined. But alas, we were too full. 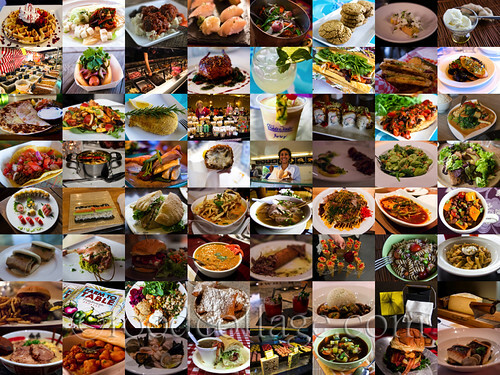 Next time - hopefully less than eight years from now - we will be sure to come hungry. 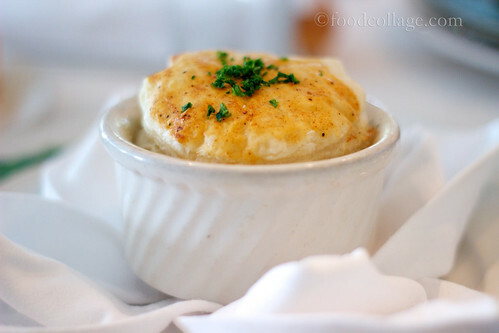 In the meantime, I do believe I will be making the Shrimp Tchefuncte again very, very soon. 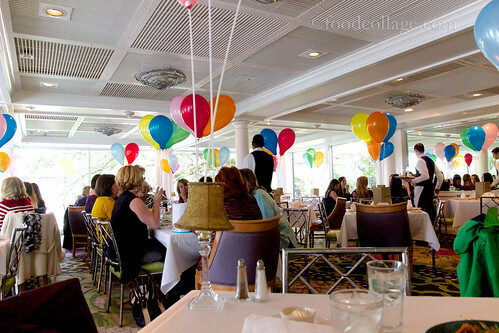 Ask any local or tourist alike to name the best restaurant in New Orleans, and I'd be willing to bet that the answer you'd most likely get is Commander's Palace. 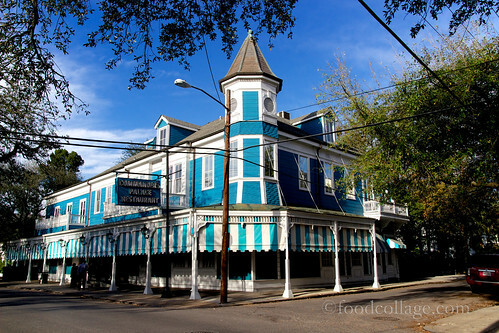 Located in the cute Garden District, the Commander's Palace is an institution in the city. It had been highly recommended to me by a colleague who had lived in New Orleans for a time, and I received two additional recommendations from fellow conference folks within a day after arriving in New Orleans. But I almost blew it: I had planned on making a solo trip there one day when I could sneak away from the conference for a bit, and didn't think I would want to make a reservation for one. At the last minute, however, I managed to convince R. to play hooky with me, and suddenly I realized I needed to book a table. By the time I checked the online reservation system, it looked as if it'd be impossible to get in. I was ready to accept my cruel fate, but decided to call the morning of our intended visit anyway to see if they might have something available. They did! Seats were available at 2:00 pm - even though the website lists Saturday jazz brunch as running from 11:30-1:00 pm only. But no matter, I was ecstatic that luck was on my side! When dining at a restaurant, there is good service, and then there is the Commander's Palace service. As if on cue, our waitress came by as soon as we were seated to offer us drinks. But the most impressive part was that she knew my name, presumably from my reservation. It was a little thing but I sure felt like a million bucks. The weekend jazz brunch is a three-course meal that ranges in price from around $29-42 depending on the main course chosen, with the option to add a cocktail and/or a side. 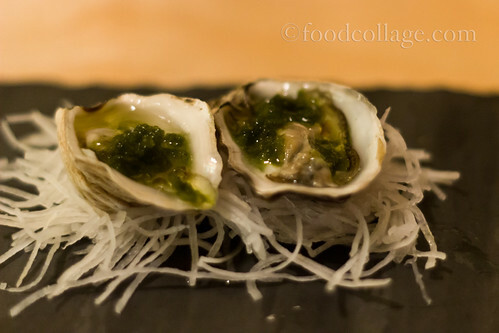 Because I love oysters, the Oyster & Absinthe "Dome" was a no-brainer for my appetizer. 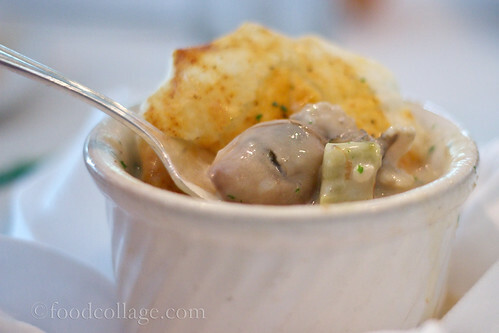 The poached oysters are cooked with bacon, artichokes, tarragon, cream, and a splash of Parisian absinthe, and served covered in a flaky pastry shell (the "dome" part). 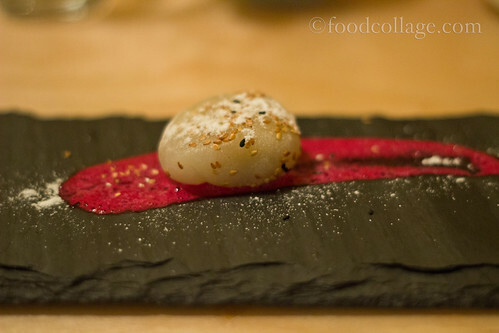 It was an interesting dish with well-balanced flavors. 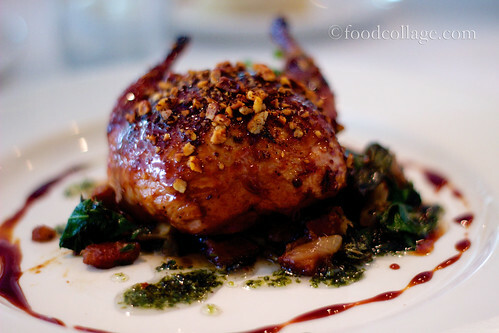 My main course was the Cranberry Molasses Lacquered Quail, stuffed with cochon de lait boudin (suckling pig sausage) and served over caramelized onions, bacon lardoons, and garlic wilted greens with sticky cranberry-apple jus. 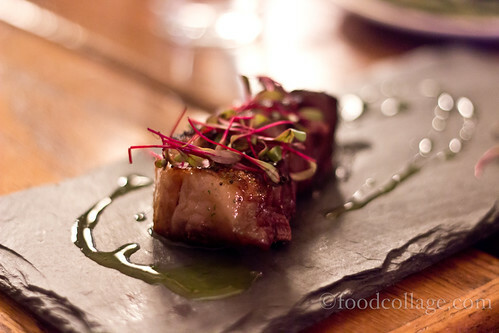 The meat was incredibly tender - in fact, I don't know that I had ever had quail this good. The sauce, too, was heavenly. 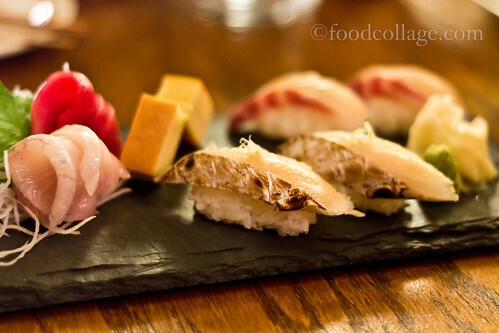 Really, everything about this dish was just perfect. 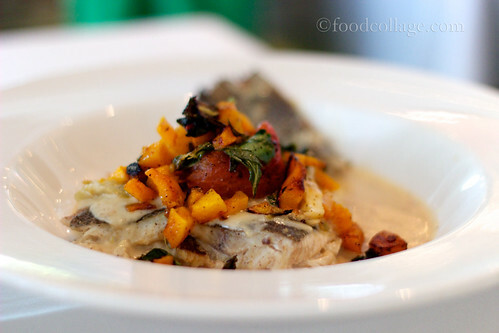 I also managed to sneak a photo of R.'s Blue Crab Stuffed Flounder. 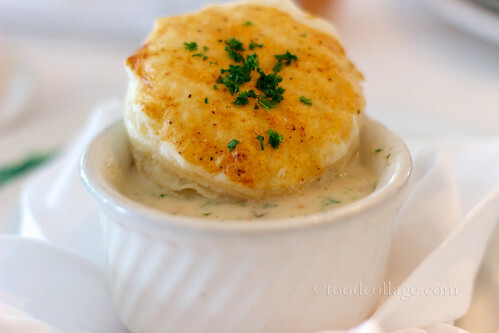 The flounder is butter roasted and stuffed with crabmeat, melted leeks, wild mushrooms, and brie, and topped with tomatoes, confit shallots, and Swiss chard. 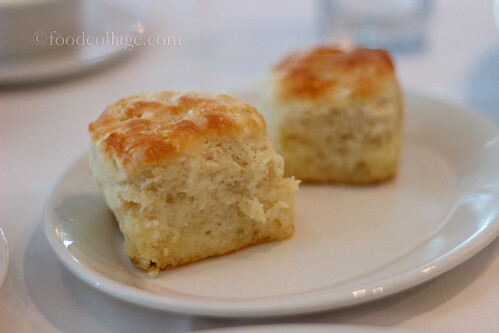 We enjoyed our meals with a side of the fresh Warm Buttermilk Biscuits, as well as crusty complimentary garlic bread. A nice surprise awaited us when our dessert was served. Earlier, when the maître d' was leading us to our table, she had asked casually if we were celebrating a special occasion. We weren't, but we just so happened to have gotten married exactly eight months prior, so I offhandedly remarked that, "well it is our eight-month wedding anniversary." I mentioned earlier about the Commander's Palace service - and this truly exemplifies the effort the staff puts into making your visit personable and pleasurable. And considering the size of the restaurant, and the large number of patrons the restaurant serves at any given moment, this level of attention is quite extraordinary. It is truly the little touches that make Commander's Palace such a special place. 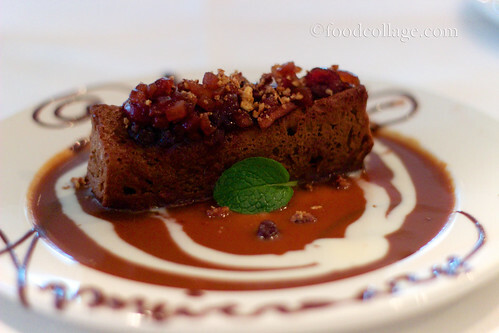 The cake itself was excellent, too: A warm bourbon and molasses cake topped with fruits and ginger compote, served with a pecan toffee sauce. Mmm...toffee. In the end, I'm really glad I got to share this lovely dining experience at Commander's Palace with R. The food, the atmosphere, and the service were all top-notch. I can now see why everyone raves about Commander's Palace. Indeed, count me in as a fan, because I cannot recommend a meal at Commander's Palace highly enough. 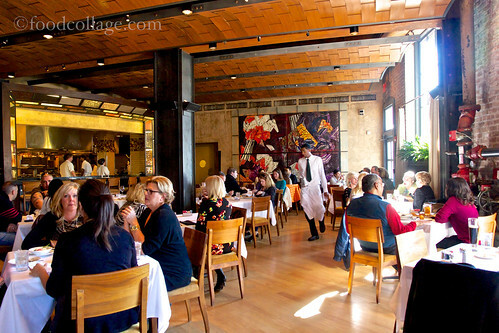 While in New Orleans, I met up for lunch with some colleagues at Emeril's in the Warehouse District. Luckily, we had a reservation, because the place was packed. 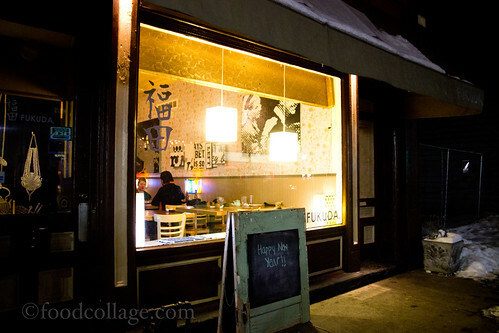 The restaurant is quite spacious, but the decor is warm and welcoming, with the open kitchen in the back. The "Lunch Crunch" special - a choice of three courses, served in 30 minutes, for $22.50 - seemed like an excellent deal, and we all selected this option. 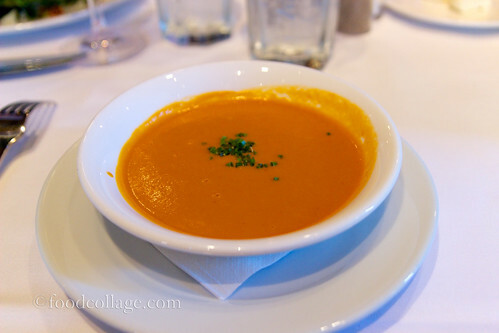 My first course was the soup of the day, which was a Curry Tomato Soup with Shrimp that is rich and flavorful. I chose the Steamed Mussels as my main course, with coconut curry, Chinese sausage, scallion, herbs, ginger, and a slice of grilled furikake bread. 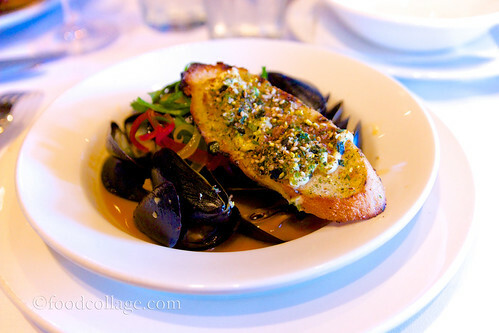 The mussels and the broth were both good, but it was the grilled bread that really wowed me. That furikake seasoning was amazing. 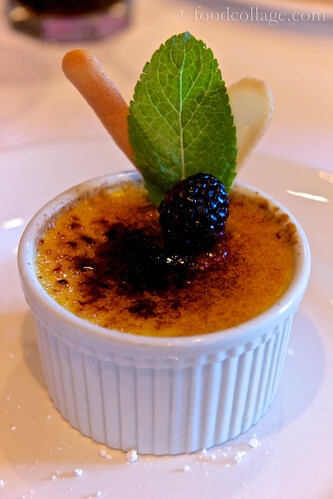 My dessert was a lovely Vanilla Bean Creme Brulee. 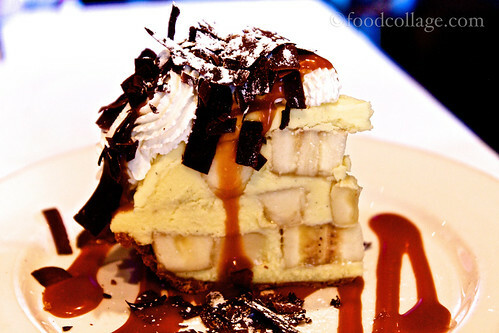 The colleague who had recommended Emeril's "upgraded" her dessert to the famous Banana Cream Pie , with a graham cracker crust, drizzled in a caramel sauce, and topped with whipped cream and shaved chocolate, and shared bites with the rest of us. I am not quite sure that the photo does it justice, but the pie is huge - and delicious. 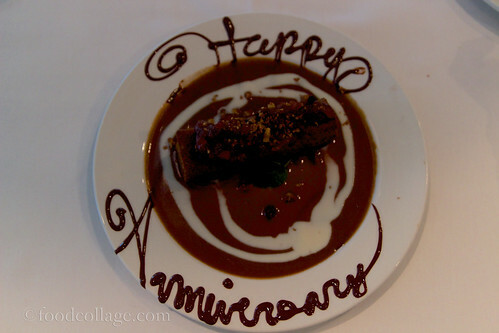 Everything from the quality of the food to the service at Emeril's was quite fabulous. What a great choice! New Orleans is one of my absolute favorite cities in the United States, and I knew January was going to be my favorite month of 2013 because R. and I were going to be in New Orleans for a conference! 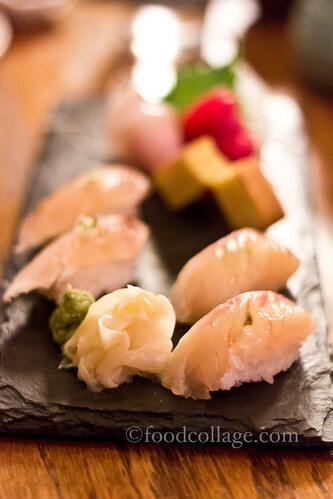 And of course, I made damned sure that we would eat well in one of the best foodie towns in the country! We arrived on a Thursday afternoon, and after checking into our hotel in the Central Business District, we were hungry for a late lunch. We took a short walk to the French Quarter (where we hung out mostly the entire weekend) to grab a sandwich at the casual joint, Johnny's Po-Boys. At Johnny's Po-Boys, it is of course imperative that you get a po-boy, a casual New Orleans sandwich with meat stuffed inside French bread. The only question is what kind? With several dozen varieties to choose from, it is not an easy decision to make. I was intrigued by the Alligator Sausage Po-Boy special, with half of an Alligator Sausage Po-Boy, seafood gumbo, and a drink. 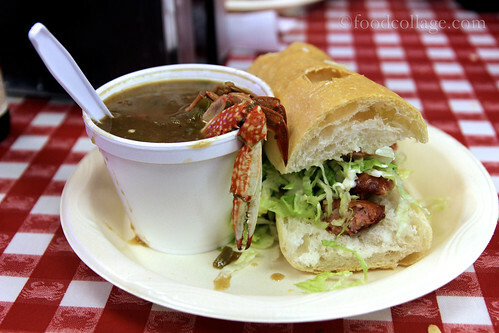 The gumbo was a bit too salty for my taste, but the po-boy was excellent, the meat nicely flavored and juicy and the bread perfectly crusty on the outside and soft on the inside. 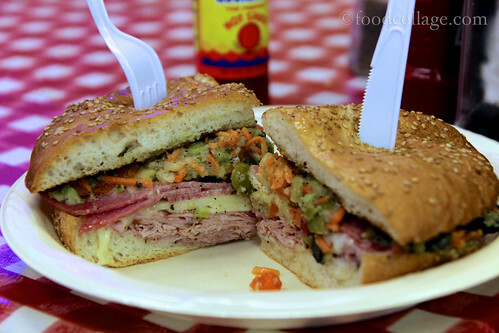 R. got a Muffaletta, another traditional New Orleans sandwich that's a must-try. Johnny's Po-Boy's version is absolutely incredible. Every bit is full of flavorful meats and olive salad. 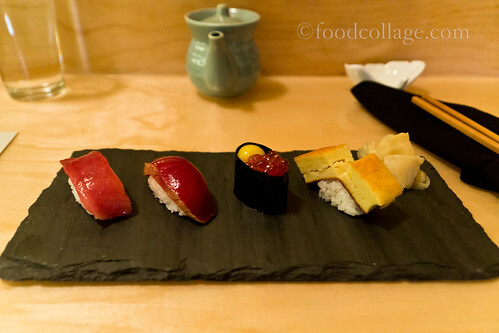 Even the colleague we went with was extremely impressed. 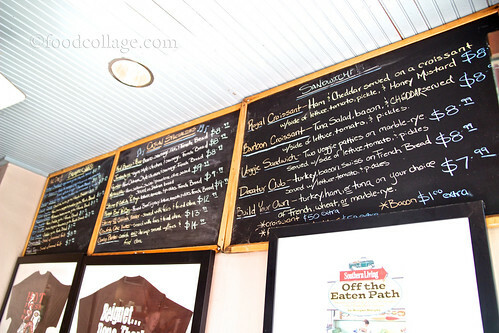 Thanks to Johnny's Po-Boys, our trip to the foodtastic New Orleans was off to a delicious start! Being a Western Pennsylvania boy, R. grew up hunting deer with his dad. He still goes once a year in the fall as part of a family tradition. The side effect of having a husband who hunts? You might suddenly end up with some 30 pounds of venison in your freezer! Having never cooked venison before, I suddenly find myself scouring the internet for all sorts of tips and recipes. We have various cuts of the meat, but ground venison is especially in abundance, and not being someone who cooks with ground meat regularly, I needed ideas! Meatballs seemed obvious and simple enough, so that's what I started with. 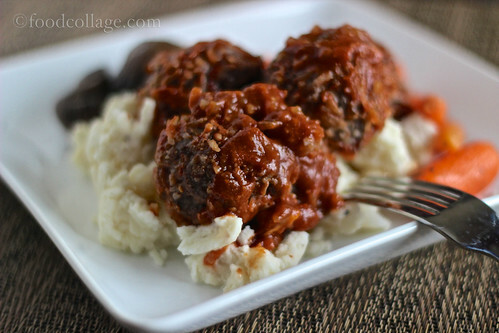 I found a pretty good venison meatball recipe online, and the meatballs were easy enough to make and tasted great, too! R. commented on how much he loved the sauce. I paired the meatballs with my special roasted garlic mashed potatoes (recipe below) and assorted veggies. Excellent! 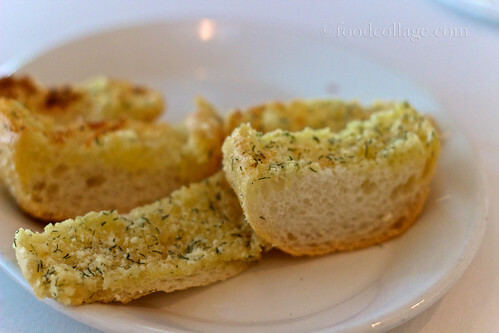 Recipe courtesy of Taste of Home (get the recipe here). Peel potatoes if desired. (Otherwise, clean potatoes thoroughly with vegetable brush.) Chop potatoes. Bring a large pot of salted water to a boil. Add potatoes, and cook until tender, about 15 minutes. Drain. Stir in butter, salt, pepper, crushed red peppers (optional), sour cream, and cream cheese.